The U.S. did not violate the constitution or other laws by killing American citizen Anwar Awlaki in Yemen without due process of law, the Justice Department argues in a previously secret memoir release by a federal court Monday, the Los Angeles Times reports. 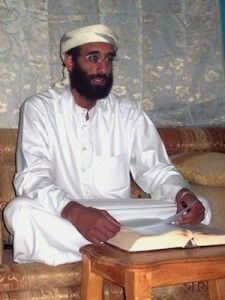 The memo was written in 2010, a year before a U.S. drone strike killed Awlaki. The documents were released after the ACLU and New York Times sued. “In the present circumstances, as we understand the facts, the U.S. citizen in question has gone overseas and become part of the forces of an enemy with which the United States is engaged in an armed conflict; that person is engaged in continual planning and direction of attacks upon U.S. persons from one of the enemy’s overseas bases of operations; the U.S. government does not know precisely when such attacks will occur; and a capture operation would be infeasible,” Barron wrote.